Enter Now for the Myora Cup 2019! 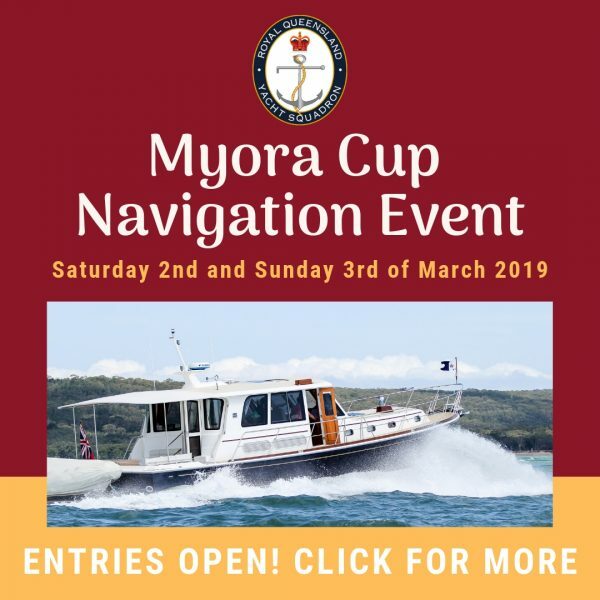 Entries are now open for the Myora Cup 2019! The Myora Cup will be held on the weekend off the 2nd and 3rd of March, please send all entries to Fergus at fergus@rqys.com.au. Myora Cup 2019 Program of Events Entry Form. Myora Cup 2019 Course Instructions. Myora Cup 2019 Both courses chart. Please be aware you are not permitted to run the course at all prior to your official start time on Saturday 2nd of March. Traditional Competitors please be aware of the following new requirement after review of the winning Traditional track at Goodwill Cup 2018. When the Tack Tracker is collected, Traditional entrants must provide a paper copy of their run sheet, detailing calculated time of arrival at each navigation mark and noting what time they believe it was passed. It is envisaged other pertinent information, like heading marks, stern marks and set / leeway would be included on a traditional run sheet.